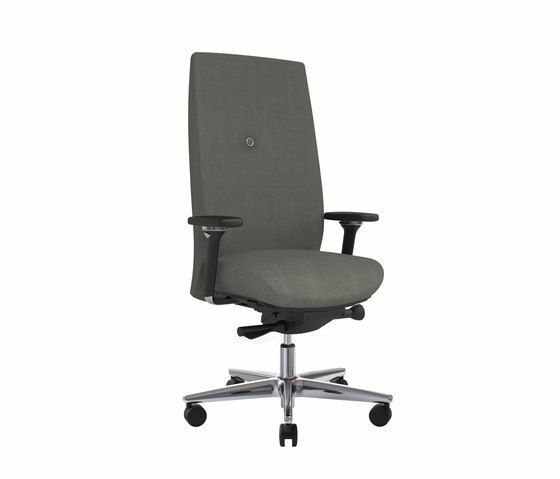 Savo XO – Executive office chair and conference chair: Savo XO is an exceptionally comfortable office chair at the highest quality. Equipped with the multi-dynamic Floating Tilt mechanism it contributes to the productivity and the wellbeing for the user. Savo XO is followed by a lifetime warranty. Savo's main focus in its chair design is the whole sitting experience. Savo XO offers a newly designed seat based on the unique Vikon®technology. This hardwearing seat leaves a soft impression with excellent support. Savo XO comes with the Savo Floating Tilt® - a unique ergonomical sitting concept. This elegant, stream-lined, user-friendly chair gives any work environment that extra aesthetic dimension. For those who want the very best, the stylish Savo XO will satisfy even the highest expectations. The Savo XO is available with either high back and headrest or medium back without headrest. For the back there is a selection of wood finishes.